Welcome to Luxe Nails & Spa! 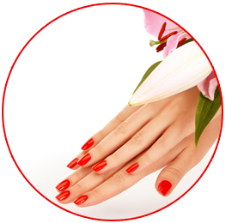 At Luxe Nails & Spa, it is our pleasure to provide you with a comfortable & friendly place where you can truly relax & be pampered. We are committed to delivering services that promotes health, well-being, comfort and beauty. Among many of you priorities are grade A sanitation standards, client focused services and high-quality products. To excel in a new era of nail and beauty care, we encourage continuing education, we are selective in staffing, and committed to continuously upgrading our services & facilities. Great for men and women to relax & unwind. Ideal to celebrate any holiday or special occasion, a nice choice for that hard-to-buy-for person! Gift Certificates are available for any services we offer here. Regretfully, they are non-refundable and not redeemable for cash.